Get the Organized Home Binder for $24! The Organized Home Binder is your home base for everything you need to manage your home well. 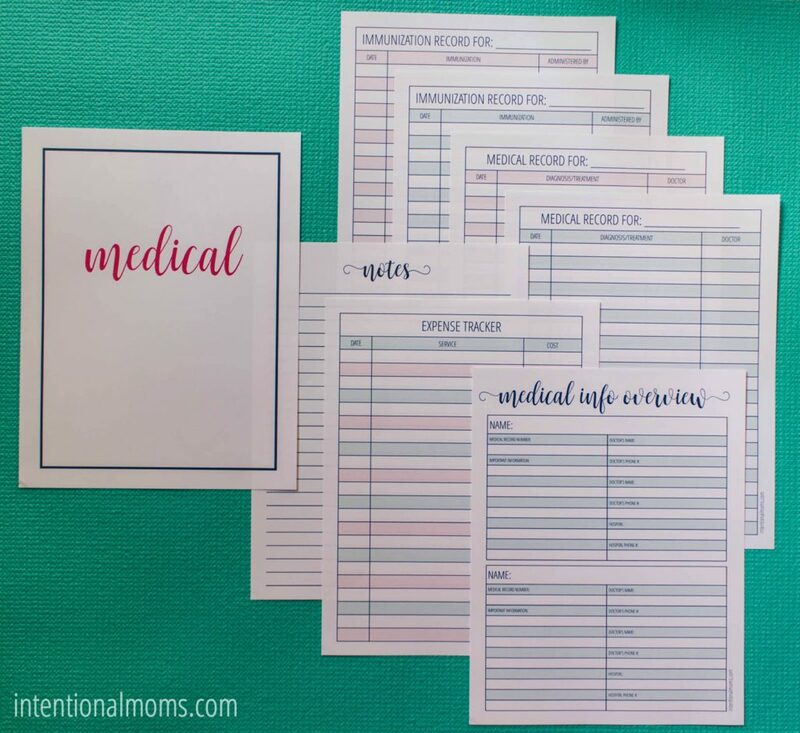 Once place where you can organize your important paperwork, manage your finances, track your medical expenses, make notes for the babysitter, and more! 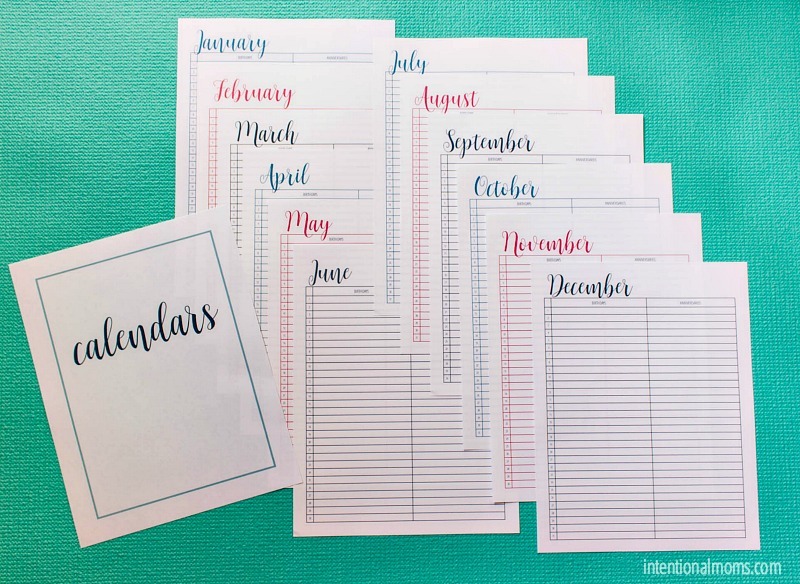 Each printable is simple & purposeful, designed to help you feel more organized, more prepared, and less stressed. 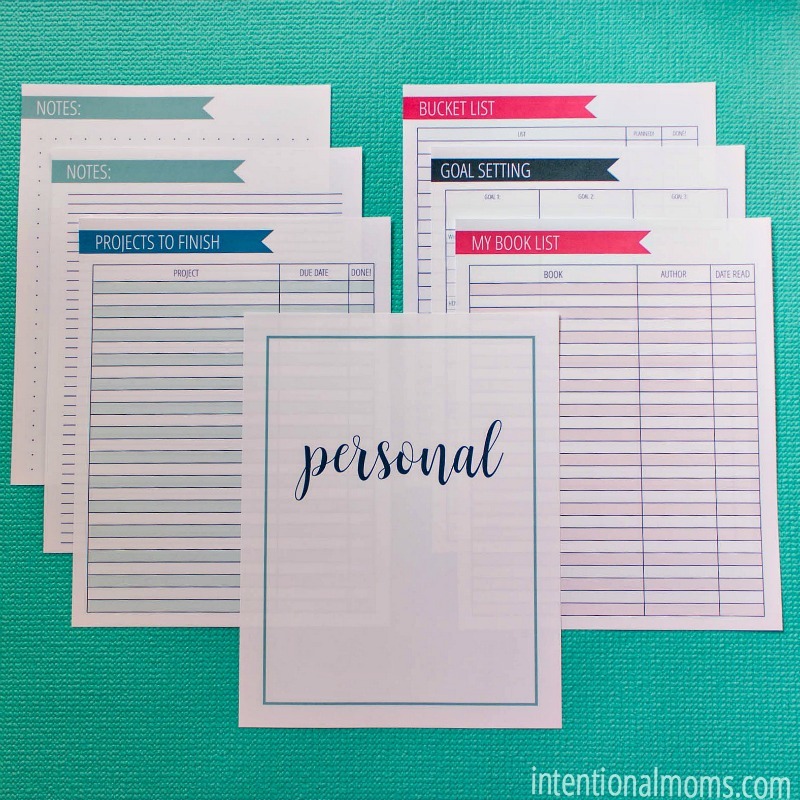 There are 8 sections in all, giving you a complete set of printables to create your own Home Management Binder! 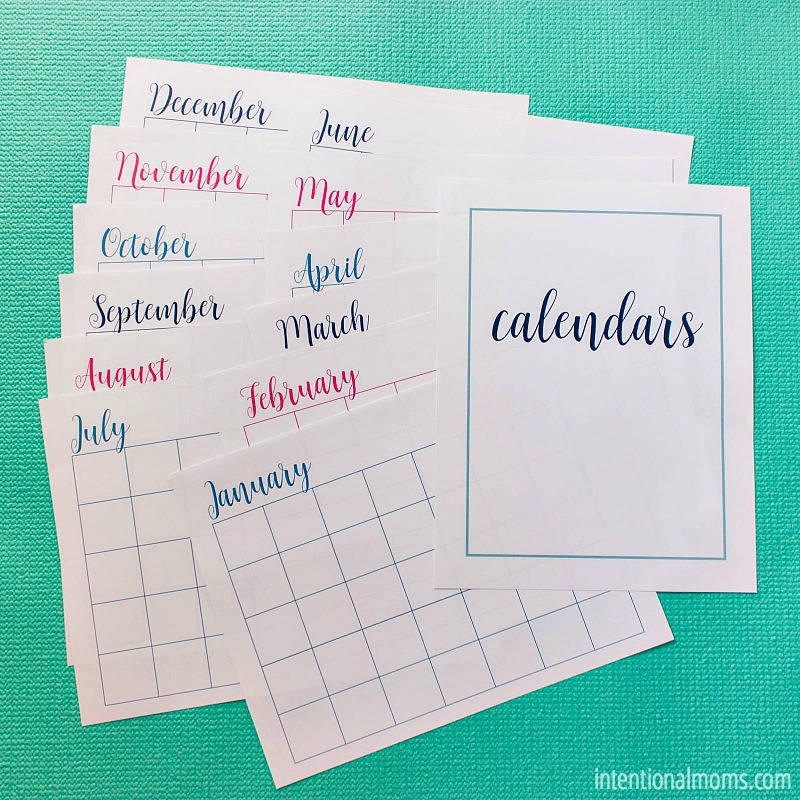 The monthly calendars can serve as a broad overview of your year - use them for planning long-term, as well as monthly & weekly events! The perpetual calendars are used for compiling birthdays and anniversaries - so you never forget to send a card or text! I also include my kids' school calendars, and any flyers for upcoming events in this section. The home base for all of your cleaning routines, this section is where you can keep up with your daily, weekly, and monthly cleaning tasks. It's also the home for your master project list, and a place where you can dream about projects or renovations you might like to complete if there's extra time or money in the future! 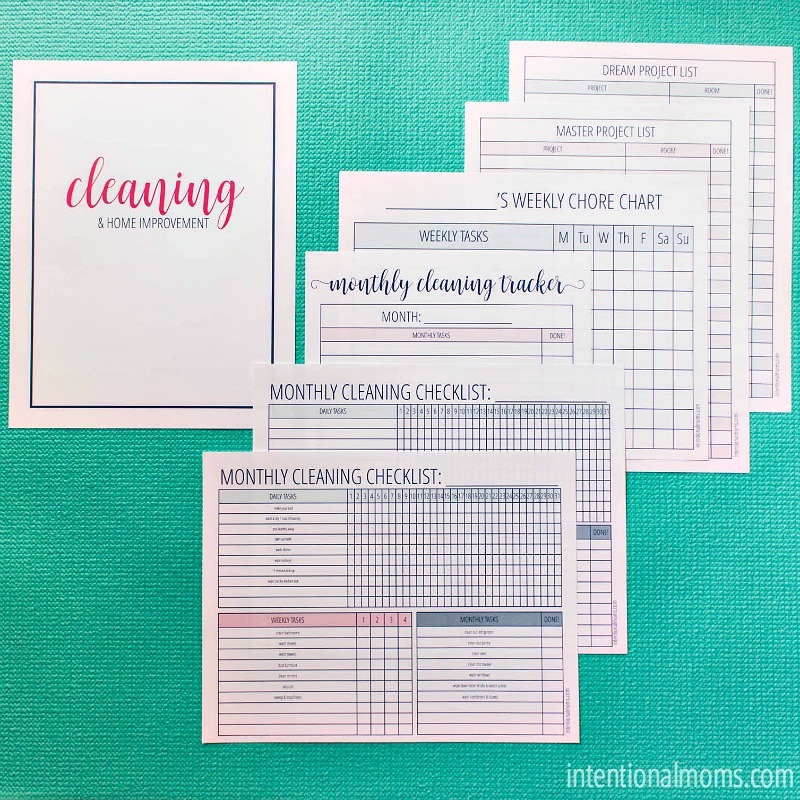 Plus, print out the chore chart for each of your kids and hang it on the fridge for them to complete each week! 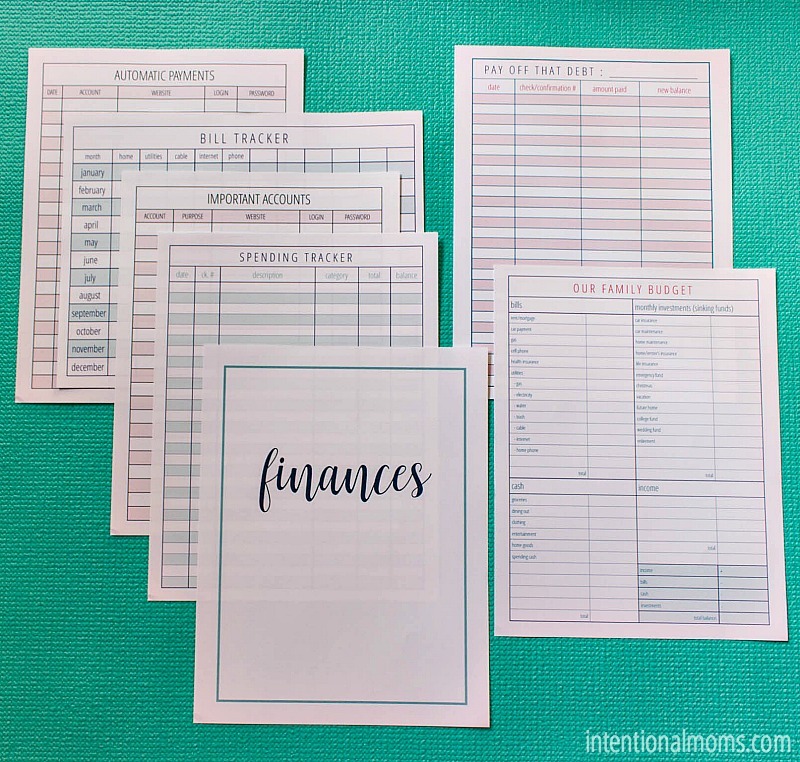 This section of your Organized Home Binder is meant to be a place where you can keep tabs on your financial records, payments, expenses, and bills. Track how fast you're paying off your debts, keep tabs on your spending, and have a central location where there's a record of your automatic payments. This is especially helpful when only one spouse handles the finances, but the other suddenly needs some information. Have it all here at your fingertips! I am maybe the most excited about this section! 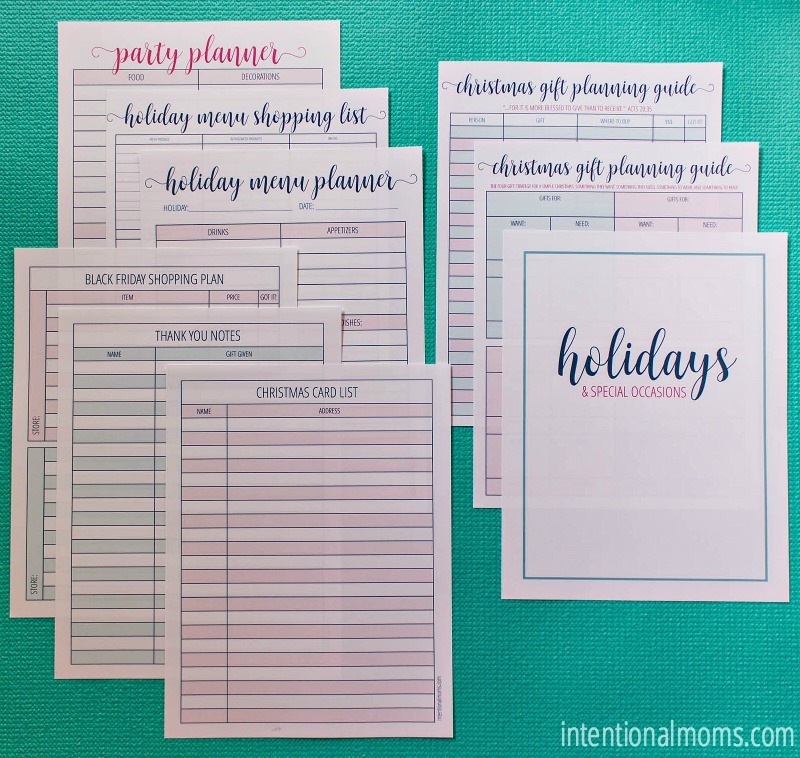 It's perfect for planning holiday meals ahead of time, shopping for gifts throughout the year to take advantage of sales, and remember those you want to send cards to, or have received gifts from. When the holidays roll around, you won't have to scramble to plan or shop or anything - everything you need is right here in this section! Stress-free holidays? Yes, please! There's so much to keep track of when it comes to raising a family. This section is the perfect place to jot down those memories you don't want to forget, or write down the funny things your kids said today. Plus, if you're leaving your kiddos with a babysitter, the papers in this section will leave her with everything she needs to care for your babies well. 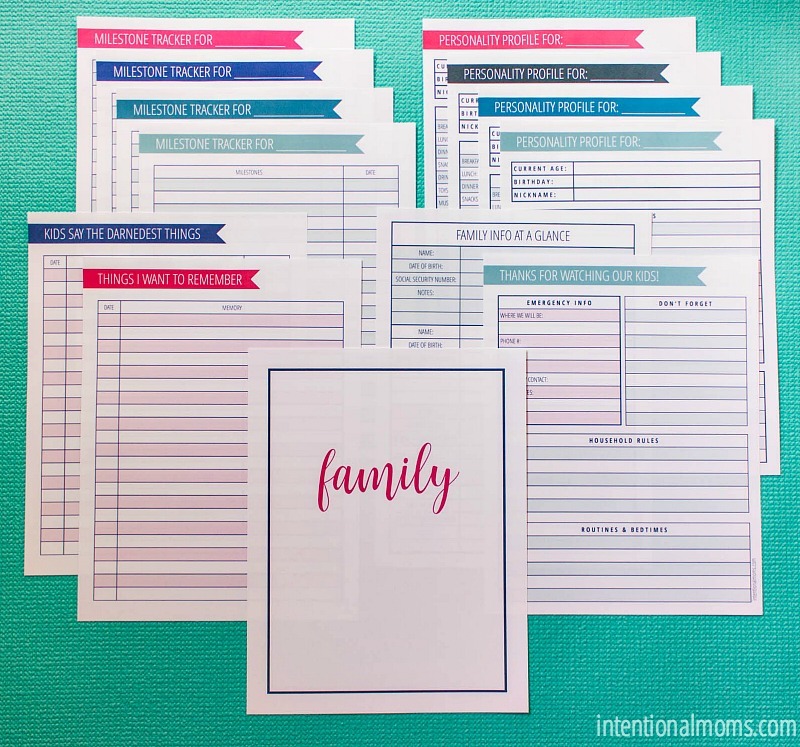 And lastly, you'll want to use that "Family Info At A Glance" page as a reference when you're filling out paperwork for school or the doctor's office! The Personal section is just for you, mom. Keep your notes here, jot down an ongoing list of projects that YOU want to work on (like compiling photo albums, or finally finishing that scarf), list out the books you want to read, and track your goals & bucket list. This is a place where you can write down all those random things you just don't want to forget. 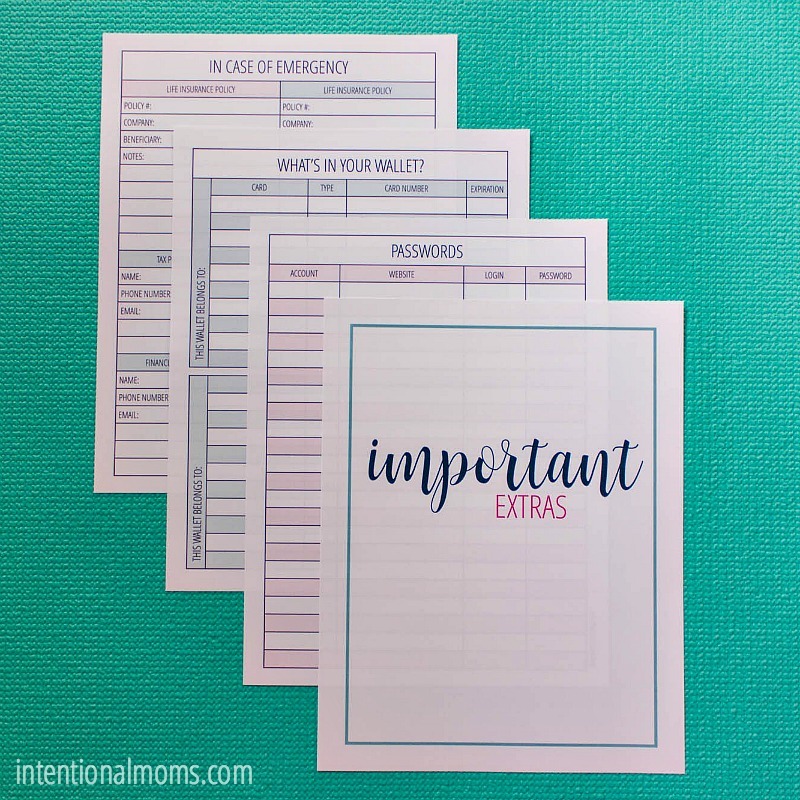 This section holds a few important worksheets - a list of your passwords, the content of your wallets (in case they get lost or stolen), and a paper with everything your loved one may need to know in case something happens to you, or vice versa. These pages will give you peace of mind, knowing that the important info is within reach. This is also a great place to add your own important documents - whatever is crucial to how your family functions. Get your Organized Home Binder for $24! The Organized Home Binder is a digital product, meant to be printed at home. No physical product will be shipped to you.